Nowadays, with more and more food establishments popping up everywhere, restaurant owners need to be very inventive to attract customers, keep costs down and push their brand forward. 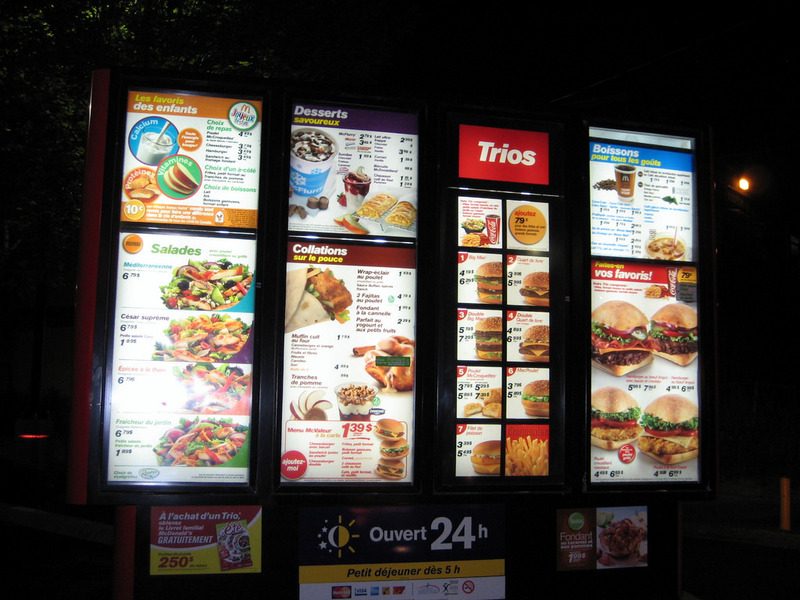 Because of that, digital menu boards came to the forefront of the restaurant industry. They offer crisp, modern designs with a fresh approach to customer needs and cost savings. Many restaurants realized that regular menus can’t keep up with the times. Static menu boards are boring. People like animation, movement, dynamics. Digital menu boards deliver just that. By following the age-old adage of “show - don’t tell” digital menus can make patrons salivate rather than just tell them what food the restaurant serves. 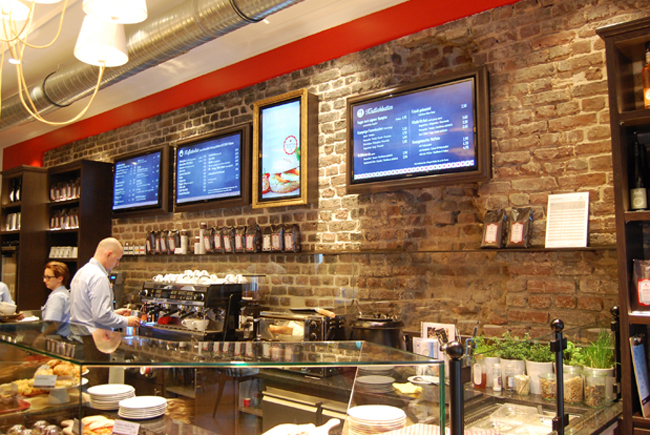 With features like day parting digital menu boards can seamlessly switch between breakfast, lunch and dinner options. They can even show different promotional items and prices automatically based on time of year or location. That is why many famous brands have turned to digital boards and created some of their own solutions. 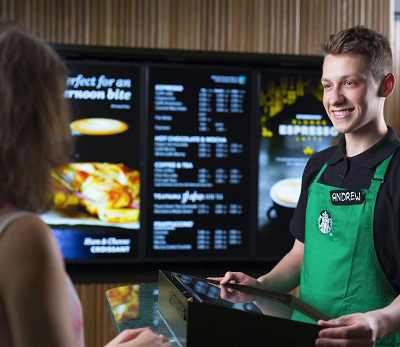 Starbucks Express, for instance, has placed digital boards at eye level, with clear content and no disruptions, because their primary goal is to deliver fast service. Cafeteiro, a German cafe chain, approached the board matter with two principles. First, they gave decorative frames to all the boards, to emphasize them and, at the same time, blend them with an interior, and second, their landscape boards display menu items while portrait boards are reserved for promotions. McDonald’s went even further. They have menu boards that monitor outside temperature and change offerings based on current weather conditions. Their analysis showed that people change their habits depending on temperature and that certain products go better during hotter, and some during the colder weather. Because of that, they made specialized menus that get displayed according to weather conditions. 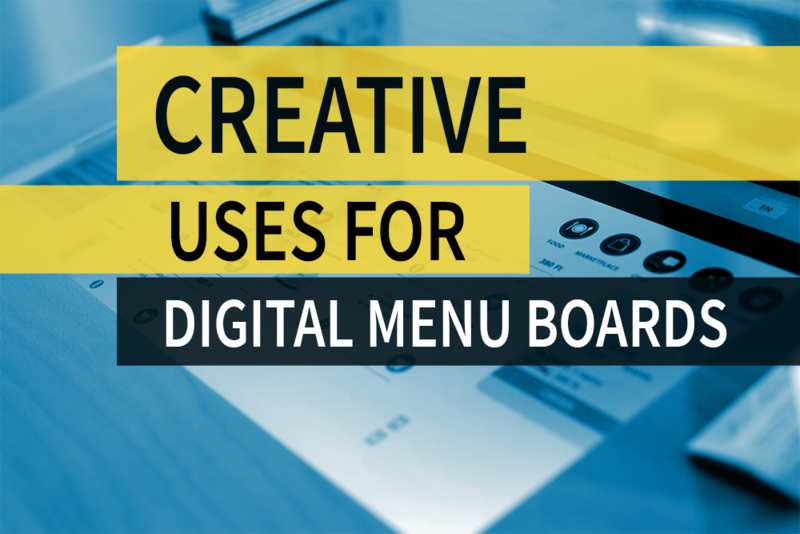 Although digital menu boards are primarily made for displaying food options, their biggest potential lies in their other features. Those features can transform a regular restaurant visit into a memorable experience. Did you ever think customers will be able to play a game on a restaurant screen while waiting for dinner or share photos of them having fun with friends, on that same board? Now, all of that is possible, with a help of digital menu boards. You can encourage your customers to share their dining experience right from your restaurant both on their social media profiles increasing your online presence and getting some word of mouth exposure at an instant. Also, it is a good idea to allow a gameplay on a Digital Signage screen from any smartphone, making some sort of a competition among the guests. Creating an adventure out of a simple meal will make your establishment stand out in the minds of your patrons. Menu boards not only keep clients satisfied but also save money and make things easier. When talking about finances, your printing costs will decrease, and sales will grow with cross-selling and up-selling. You will have an opportunity to change your menus and offers remotely, to promote daily specials ada your offers to the time of the day, or even weather conditions. Display nutritional values, test promotional prices and offers and make dining at your restaurant a truly immersive experience. You can see firsthand how it all works and if it’s the right solution for your business by signing up for a free UCView webinar.